On August 18, 2017, the Office of the United States Trade Representative initiated an investigation of China under Section 301 of the Trade Act of 1974. The investigation was initiated under the direction of the Trump Administration to determine if the Chinese governments acts, policies, and practices on technology transfer, intellectual property, and innovation are unreasonable or discriminatory and burden or restrict U.S. commerce. Under Section 301 of the Trade Act of 1974, the U.S. Trade Representative has the authority to review and investigate unfair trade practices aimed at the United States. If USTR finds there are restrictive trade practices, the U.S. President has the authority to take appropriate actions to eliminate the restrictive trade practices. 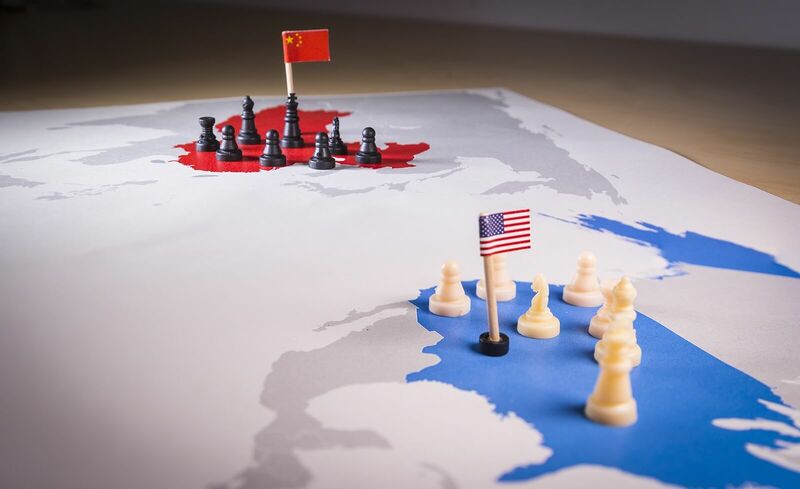 China uses foreign ownership restrictions, including joint venture requirements, equity limitations, and other investment restrictions, to require or pressure technology transfer from U.S. companies to Chinese entities. China also uses administrative review and licensing procedures to require or pressure technology transfer, which, inter alia, undermines the value of U.S. investments and technology and weakens the global competitiveness of U.S. firms. China imposes substantial restrictions on, and intervenes in, U.S. firms’ investments and activities, including through restrictions on technology licensing terms. These restrictions deprive U.S. technology owners of the ability to bargain and set market-based terms for technology transfer. As a result, U.S. companies seeking to license technologies must do so on terms that unfairly favor Chinese recipients. China conducts and supports unauthorized intrusions into, and theft from, the computer networks of U.S. companies. These actions provide the Chinese government with unauthorized access to intellectual property, trade secrets, or confidential business information, including technical data, negotiating positions, and sensitive and proprietary internal business communications, and they also support China’s strategic development goals, including its science and technology advancement, military modernization, and economic development. The full report is available on the USTR website. Tariffs – The President has instructed the Trade Representative to publish a proposed list of products and any tariff increases within 15 days of March 22, 2018. With a final list of products to be published after notices are published and industry has the opportunity to comment. WTO dispute – The President has instructed the Trade Representative to pursue a dispute settlement in the World Trade Organization (WTO) to address China’s discriminatory technology licensing practices. Investment restrictions – The President has directed the Secretary of the Treasury to address concerns about investment in the United States directed or facilitated by China in industries or technologies deemed important to the United States. The rest of this post will focus on the tariffs implemented under Section 301. On January 11, 2019, USTR announced that an exclusion process would not be initiated on List 3 unless negotiations with China fail and the tariff increases to 25 percent. The tariff increase was originally scheduled for January 01, 2019 but was delayed for 90 days while the Chinese and U.S. governments engaged in trade talks. The duty increase to 25 percent is tentatively scheduled to go into effect on March 02, 2019. Exclusions request for List 3 cannot be submitted until the process is published in the Federal Trade Register. Is the product available in the United States? Will the duty cause severe economic hardship to the requestor or other U.S. parties? Is the product strategically important to China’s “Made in China 2025” program? On December 21, 2018, USTR submitted for publication a Federal Register Notice with a list of products excluded from List 1 of the Section 301 tariff for China. The Federal Register Notice includes approximately 1,000 individual exclusion requests that involve 21 separate HTS numbers. A complete list of the HTS numbers and product descriptions that qualify for this exclusion are available here. These exclusions are available to anyone whose products meet the description of the products in this notice, regardless of wether, the company applied for an exclusion request or not. Your company may be able to implement the following strategies and avoid paying the additional Section 301 tariff. Review the HTS and descriptions of the exclusions already granted and determine if your products fall under the description or HTS. Rember, the exclusion is available to anyone, even if you did not apply for an exclusion request. Review the HTS numbers you use to import your products. It is possible that your products were misclassified and don’t fall under List 1 through 3. At no time should a company change the HTS number of their product to avoid paying the Section 301 tariff! Are you exporting the imported product? Or are you further manufacturing the product? You may qualify for drawback. Drawback is available for the Section 301 duties paid to U.S. Customs. Find a source for your product in a country other than China. The testing and product qualification of a new supplier takes time, so get started now in looking for alternative sources for the products you import from China that fall under the Section 301 tariff. If you are importing raw material or components, you may be able to further process the raw material or component in a third country to substantially transform the product. At no time should a company ship a product from China to a third country and declare the wrong the Country of Origin to avoid paying the Section 301 tariff! The country of origin will remain China unless the product undergoes a substantial transformation. At Trade Consulting Services we help businesses import and export with confidence. If you need assistance determining how the Section 301 tariffs affect your business and if you can implement the strategies above, get in touch with us today. We can handle all aspects of your import and export compliance program or provide customized import and export training to give you and your staff the tools you need to manage it internally. View Our Services for more information or call us at 214-810-0204.